First Japan, now US. Will UK be next? Sony has confirmed that PS Vita games will be sold at a discounted price as downloads from the US PlayStation Store. This system is already in operation in Japan, and with the US market going the same way it's likely that the UK PlayStation store will also be seeing discounted downloads. The downloads will also be available at the same time as the physical media, so apart from fans of the collector's edition, it could spell the end to the launch day shop queue. Games on physical media are hardly ever sold at full price, so the download discount may not be that significant, or an overall discount at all. The process of buying a game could get a little more complicated, as shops offer discounts for PSN downloads to maintain their lower price against physical media. For example, US retailer Best Buy is selling discounted download codes that mean the downloads end up around 10 percent cheaper than the shrink-wrapped cards. How it works in the UK remains to be seen, but going for downloads over physical media is probably safer – those little cards look to be pretty easy to lose. 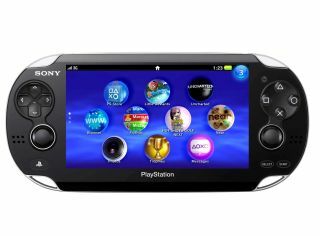 When the Sony PlayStation Vita launches on 22 February, the line-up of games is set to include Uncharted: Golden Abyss, WipEout 2048 and Motorstorm RC, among others.